How Far is Raviraj Ozone Villas? Raviraj Ozone Villas, located in Pune, is a residential development of Raviraj Group. 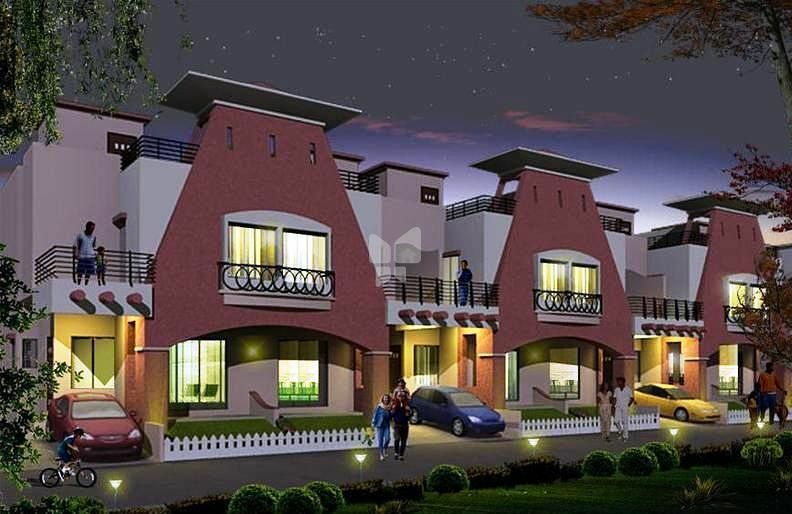 It offers spacious and skillfully designed 2BHK and 3BHK villas. The project is well equipped with all the basic amenities to facilitate the needs of the residents. The site is in close proximity to various civic utilities. * Vitrified Tiles Flooring in Rooms and Toilets. * Ceramic Tile Flooring in Attached Terraces, Varandah, Utility and Top Terrace. * Toilet Dado of Vitrified Tiles. * Jaquar make or equivalent CP fittings. * Hindware make or equivalent sanitaryware. * Power Coated Aluminium Sliding Window with Mosquito Mesh in 2 or 3 tracks. * Attractive Moduled Main Door of Teakwood. * Eye piece for Main door. * Flush Door for Internal Doors. * Round Cylindrical locks for all Internal Doors. * M.S. Grill for Windows. * S.S Railing for Staircase. * Acrylic Emulsion or equivalent for all Internal Walls. * Apex Outlook Smart or equivalent for Enterior..
* Exclusive Color Shades in all Bedrooms. * Modular Switches of Reputed make. * For Exhaust fan in Kitchen and Bathroom. * For Water Purifier in Kitchen. * For T.V. Telephone Points in Living and Master Bedroom.